While driving from Harrisonburg, Virginia to Washington, DC today, I took the scenic route and caught a glimpse of this marvelous owl on the side of the road on the famous Skyline Drive. I saw a bear there a few years ago! He was just hanging out by the side of the road, doing bear-stuff. Likewise the Owl looks to be just doing Owl stuff. 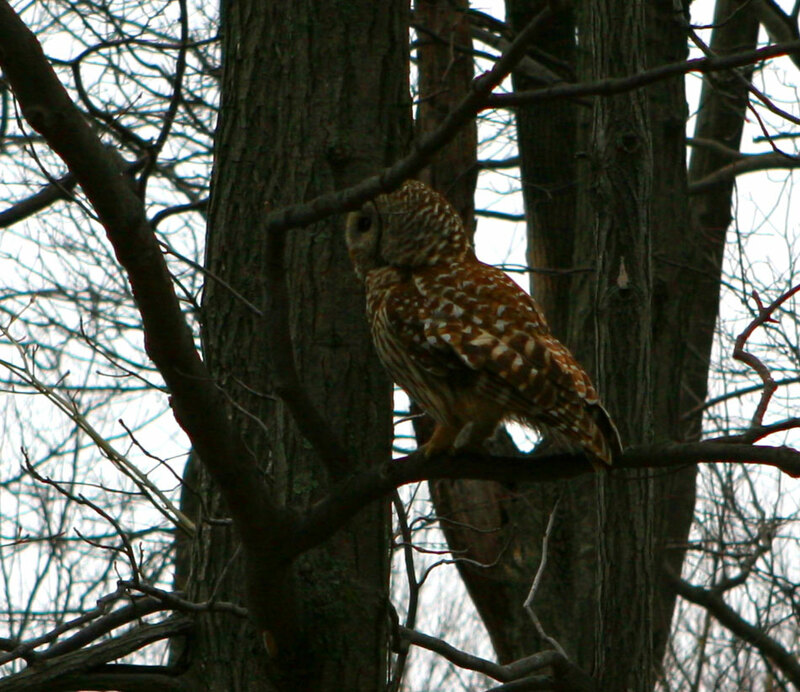 Must have thought it was later in the day as I understand it owls are nocturnal hunters. Maybe just at dusk? Still quite a picture. Good job!